The commissary agency’s interim director has deployed a team of produce specialists to address the issues of pricing and quality of fruits and vegetables in commissaries in Japan and South Korea. Retired Navy Rear Adm. Robert Bianchi, interim director and CEO of the Defense Commissary Agency, said the staffers “will be on the ground until we fix all this,” referring to issues with higher prices and lower quality highlighted in a recent government report. And while fixes may be coming ― “There’s a new sheriff in town,” he said ― Bianchi warned shoppers that some expectations may be unrealistic. “I can’t promise they are going to see prices like they see in the continental U.S.,” he said. “That’s impossible. It’s not going to happen. And it never was going to. If people thought that, they were probably under a misperception. 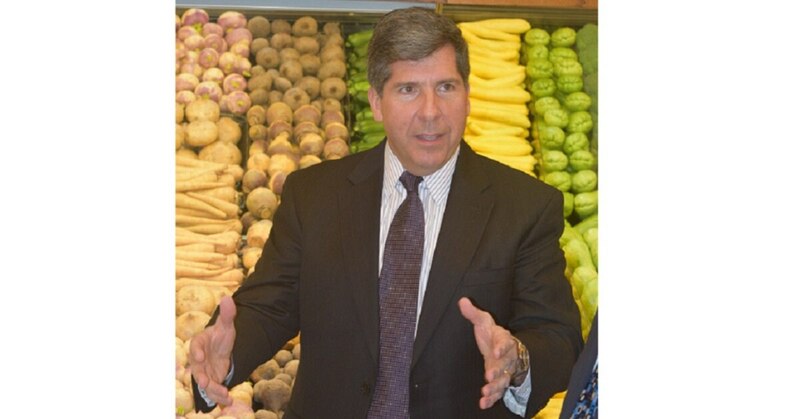 The fruit and vegetable issues have been a priority since Bianchi took over commissaries in November while continuing to serve as CEO of Navy Exchange Service Command, he said. He sent the commissary agency’s produce manager to do a comprehensive review earlier this year, and she spent nearly a month in Japan and Korea. Bianchi visited five commissaries while in South Korea in February for the grand opening of a new Camp Humphreys store. He walked them all ”with a special eye toward produce,” he said, talking to customers, commissary managers, and senior military leaders in the area. From what he saw in those commissaries, he said, the quality of produce has improved. Per the report, fruit and vegetable prices have gone up as quality has gone down under the new deal. The core change in 2015 was a budget-cutting move by DeCA officials to save the $48 million a year the agency paid to ship fruits and vegetables to 29 commissaries in Japan, South Korea and Guam. Those overseas transportation costs are borne by taxpayers so that military customers have access to groceries of comparable cost, type and quality as commissary customers in the U.S. The commissary agency has been under increased pressure from Defense Department officials to cut the amount of taxpayer dollars used to operate the stores, currently at about $1.3 billion a year. Under the produce contracts implemented in November 2015, the government no longer pays to ship the fruits and vegetables to those locations. The contractors either get the produce from local sources in these areas or bear the cost of shipping it from other countries, including the U.S. The cost of shipping is rolled into the price of produce and passed on to the customers. In 2016, in response to customer complaints about price and quality, the House Armed Services Committee included a requirement for the DoD Inspector General to evaluate the effectiveness of that new produce purchasing process. In February, the DoD IG confirmed that the new system for getting fruits and vegetables to Japan and South Korea is saving the government $38 million a year in transportation costs. It’s also costing commissary customers 21 percent to 32 percent more to buy those products than it did than under the previous contract. Having produce specialists work “side by side” with vendors to reduce costs. Streamlined inspections may help. Seeking more product options, including lesser-quality items at lower prices. “Right now, it’s expensive oranges or nothing,” Bianchi said; customers might prefer a choice, even if that means lower-quality items or dealing with spikes in some items’ prices where the only other option would be not carrying the item at all. 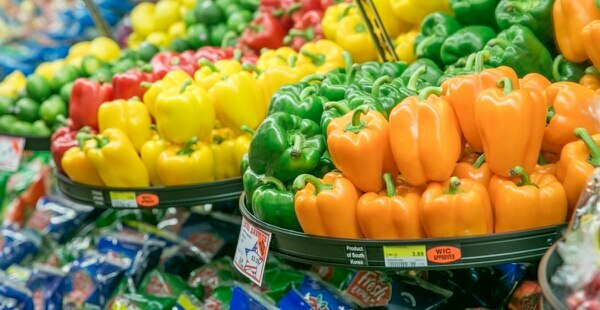 Auditors found that a majority of commissary customers they surveyed rated the quality of fresh produce in the commissary to be worse than the quality of fresh produce sold at local markets in Japan and South Korea. When the auditors were doing their sampling and studies last summer, the previous primary contractor was failing, Bianchi said. DeCA did recognize there was a problem, he said, and turned the contract over to a South Korean vendor and a Japanese vendor. Bianchi said of all the areas in Japan and South Korea, Okinawa “is the one we have to work the hardest on. I’m putting a person out there to try to work with the vendor, as well,” he said. Many of the complaints have been coming from Okinawa, he said, and the extra transportation time is a big factor there. In the first DoD IG report on the issue, released in March 2017, auditors found that in Guam, prices of 188 commissary fresh produce items had increased an average of 7 percent since new contracts went into effect in November 2015. They compared prices from that point through the following August. Over that span, the cost of 41 bagged salad items went up 150 percent in Guam. Early on in the new contracts, the Guam commissaries were struggling with produce issues more than those in Japan and South Korea, but those stores appear to be doing well now, Bianchi said. Soon after the problems started, commissary officials sent a tiger team over to Guam to address produce issues, and it paid off, he said. In 2017, commissary agency officials agreed to start paying for the cost of shipping bagged salads to Guam, South Korea and Japan, which is more expensive than other items because they are shipped by air. They have a short shelf life. Bianchi said this agreement to ship bagged salads by air will continue until he can find an alternative. In Europe, where the government stopped paying to ship fruits and vegetables a number of years ago, there is an approved supplier who provides bagged salads. But in Japan and South Korea, he said, “We’ve been unable to find anyone able to provide the variety and quantities we would need, and the overall products.